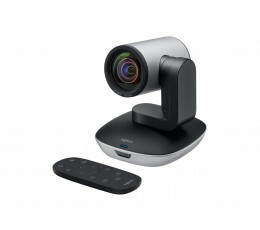 PTZ Pro 2 features state-of-the-art camera technology, including 10x HD zoom with 260-degree pan and 130-degree tilt. Far-end camera control and three adjustable presets add convenience for meeting organizers. H.264 UVC 1.5 with Scalable Video Coding (SVC) reduces bandwidth requirements.PTZ Pro 2 connects with a single USB cable. Certifications with leading VC applications make it easy to use any video conferencing applications - including the ones you already use.